This episode is a complete story in its own. You may have heard this story as an young adult in may be a little different perspective but the message is same. There are several ethical things which are actually needs to be followed religiously in order to have a composed life. Whatever your goals are, or whatever you need to achieve in the life, you need to work at your best and there are no two thoughts on the same. Remember the rules of success from Arnold’s famous speech? Day dreaming never lead one towards his/her goal. You need to setup the goal but then you need to follow the path. Cash and credit are two ways to do business with. However one needs to use his own wit when giving the things on credit to someone. It is tough to determine, whether the money will eventually come back to your pocket at a scheduled time, but one need to decide it with all his senses. Life is full of uncertainties and one has to be ready for accidental expenses (or better we can say – unplanned expenses). The famous scholar Chanakya also said that, one needs to save a part of his income for such emergencies. Again there came time when the things might be out of your hands or you might not be able to make a proper decision. A witty and wise man in your group whom you can trust like anything, can be your lifesaver in such situations. You might be thinking that, why we are talking this, when we are actually reviewing an episode from a Hindi TV Serial! 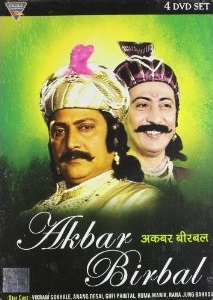 Well, the tales of Akbar and Birbal are famous for the wit and wisdom it contain. It explores the story of two brothers, whose wealthy father was dead a little while ago. He was a good businessman who happens to be friend of Birbal. One day both the sons came to Birbal asking for his help. And Birbal got to know that they are living a very poor life these days. And if no proper actions are taken, they may have no choice but may be committing a suicide. They are trapped in very tough situation that is almost impossible to come out from. Now only Birbal can show them the path or there will be the dead end! When Birbal asked them the reason they came to such tough situations, they explained him that they are just following his father’s last instructions, which are responsible their current situation! Now Birbal know that his late friend was a wise and wealthy businessman and he could never have given the wrong advise to his sons by means. So what could be the reason? Yes, you got it right, it is wrong interpretation of those advises. The episode belongs to Birbal mainly so Akbar, Shahbano and other characters doesn’t appear in this episode. The most convincing actor in this episode is Anang Desai. A lot of scenes are filmed on the businessman and his sons. They all are above average actors. The main positive point of the episode is the content. The script and dialogs both are first rate. The director followed the script nicely. The episode maintains its pace throughout. Even the background music is in proper sync. The title song is good one. For the royal wardrobe, you may often feel that a little less usage of fluorescent colors is desired. The DVD quality is good. However as we are seeing HD content these days, you may find audio and video both are of low quality. The message it conveys is relevant regarding the time or generation we are living in. This makes the episode a – not to miss – one.